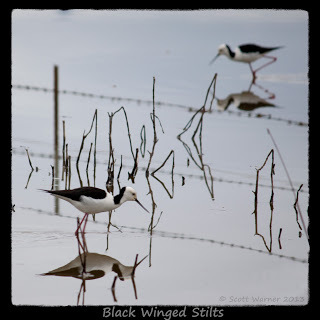 I have posted the pic of the stilts before but I thought I’d show you some additional editing I have done to these two. I especially like the little Dotteral and am thinking of getting him printed and framed for the wall. I think they would make a great postcard or poster. Let me know if you want a high res copy.